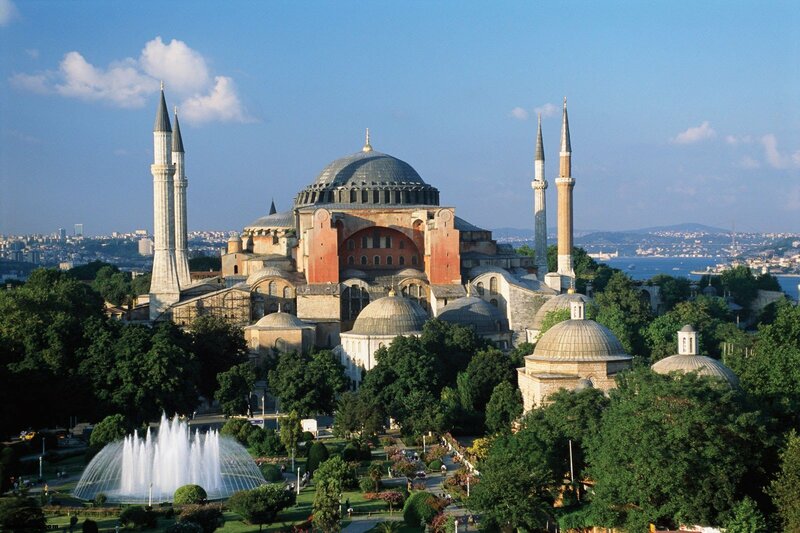 Ayasofya, Hagia Sofia, Sancta Sophia or the Church of the Divine Wisdom – call it whatever you like, it is one of the most prominent monuments of the world. This religious center with its giant buttresses and elegant minarets has been connecting the East and the West for centuries. The current building is actually the third construction, though it occupies the same location as the previous two. 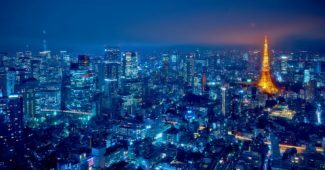 The structure itself does not only represent a magnificent architectural treasure, but it also complexly intertwines symbol, myth and history. 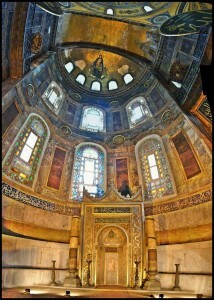 It is famous for its massive dome and it is rightly considered epitome of Byzantine architecture. Built in the 6th century by the orders of Emperor Justinian, it remained the world’s largest church for nearly a millennium. After the fall of Constantinople, Ottomans converted the church into a mosque and four minarets were consequently added. 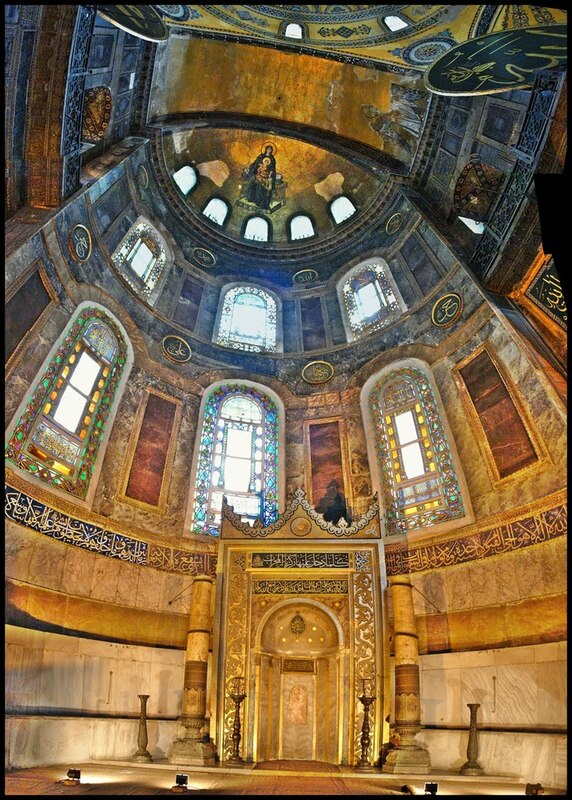 After the establishment of the modern state of Turkey, Hagia Sophia was secularized and turned into a museum. Until today, Hagia Sophia has remained a testament to the multicultural past of the great city of Istanbul and a shared religious ground for both Christians and Muslims. However, recent calls for de-secularization of Hagia Sophia have caused disturbance. 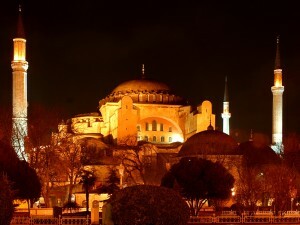 Turkish Deputy Prime Minister Bulent Arinc said he hoped to change the status of Hagia Sophia. 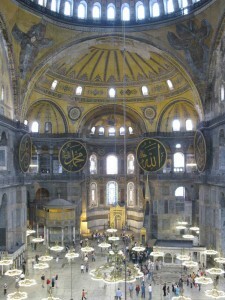 For most of the advocates of this idea, Hagia Sophia proclaims Islam’s triumph over Christianity. But, for secular Turks, the museum stands as a powerful symbol of Ataturk’s cultural legacy. 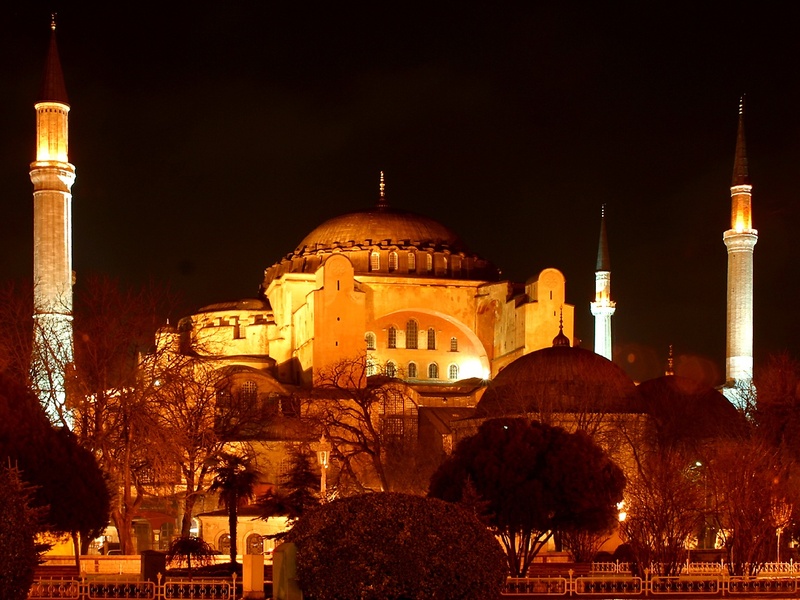 “Turning Ayasofya back into a mosque is out of the question. It is a symbol of our secular republic. It is not just a mosque, but part of the world’s heritage”, says Istar Gozaydin, an expert on political Islam.